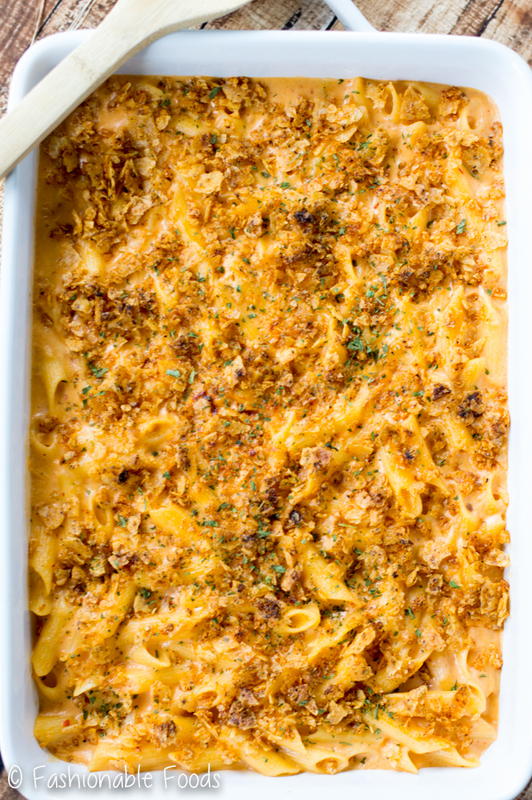 Macaroni and cheese is the ultimate comfort food as the weather cools down. 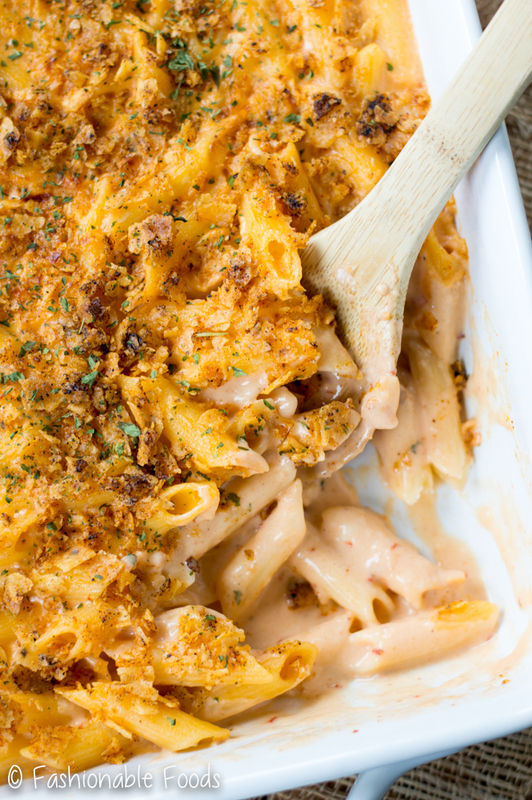 Try a fun twist on the classic with this chipotle pepper macaroni and cheese! 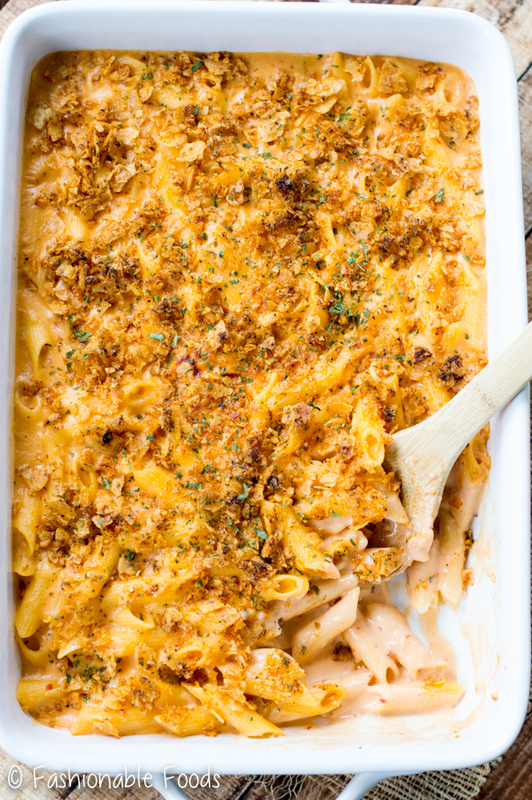 It’s smoky, cheesy, and oh-so-comforting! I’m going to sound like a broken record, but I really think this time I’m back! I keep saying I’m “back on schedule” or “I finally got into a routine”, but then something else pops up and gets me off track again! However, Kyle went back to work today. For those of you that didn’t know, Kyle broke his leg and has been home for the past few weeks. He still has a long way to go with recovery, but since he’s able to go back to work, we are getting back into a somewhat normal routine. 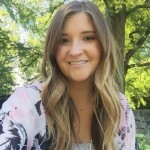 SO, here I am again, trying to get back to my own schedule! I missed my typical Monday post, so I decided to do Tuesday and Friday for this week. It still doesn’t feel like fall here, but I’m moving along with fall recipes anyway. I have been dying to share today’s recipe with you! Chipotle pepper macaroni and cheese! YES PLEASE. 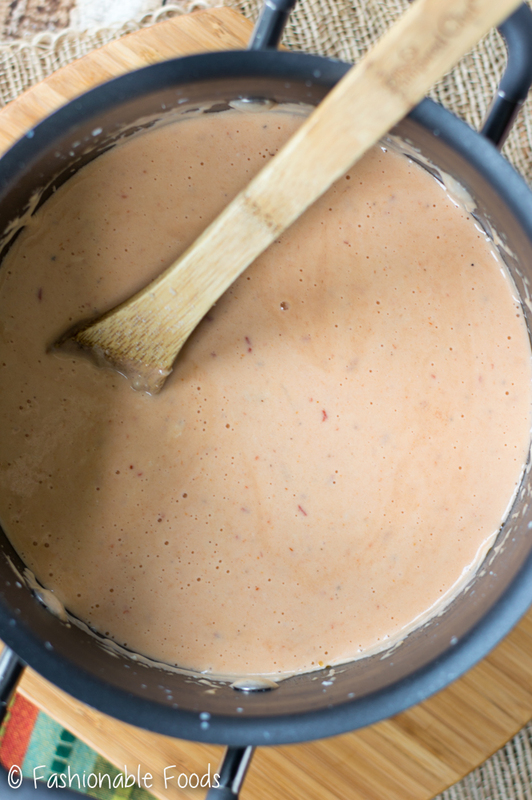 This recipe is essential for cooler weather – you’ve got smokiness from chipotle peppers, a creamy, cheesy sauce, and of course, a crunchy topping. Basically all of my favorite things in one pan! Not only is this my new favorite mac and cheese recipe, but it’s really quite simple to make. The sauce it a simple béchamel with grated onion and chipotle peppers added. I use an immersion to make it silky smooth, but a blender or food processor will work just as well. Just be really careful when blending hot liquids! 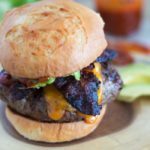 Once you’ve got your smooth and flavorful sauce, you’ll add the cheese. I use a mixture of cheddar and monterey jack. 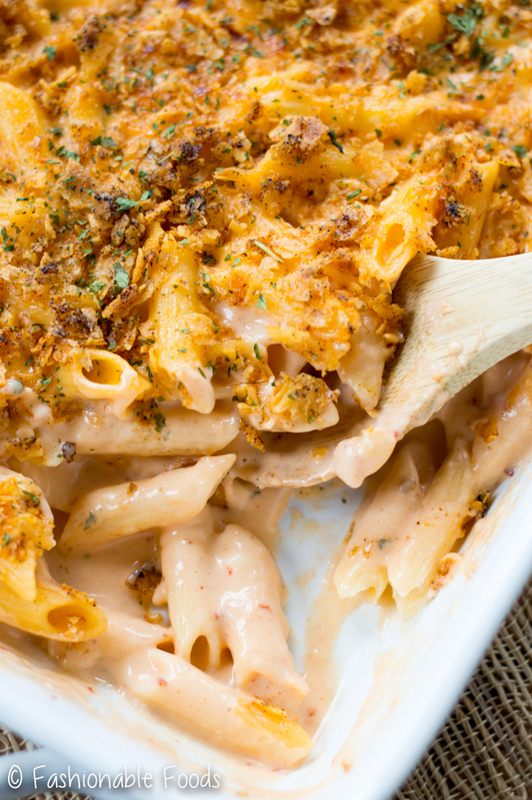 Toss that creamy sauce with cooked pasta and pour it into your baking dish. Then comes the topping! 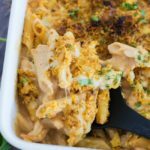 Instead of breadcrumbs I used crushed up tortilla chips, which add the perfect crunch for this mac and cheese! I really struggled to practice self-control with this mac and cheese. I wanted to the entire pan full! If you’re lucky enough to have some leftovers, they DO reheat perfectly! We were able to eat a few meals from this one pan… even though I wanted to eat the whole thing in one sitting ?. I hope your week is off to a great start and I’ll see you back here for a sweet treat recipe on Friday! Bring a large pot of water to a rolling boil. Season the water generously with salt and add the pasta. Cook the pasta 2 minutes less than the package instructions advise. Drain and rinse with cold water. Leave pasta in colander while you make the sauce. Heat the same pot you used to cook the pasta over medium heat. Melt the butter and add the grated onion, sauté for about 2 minutes and season with salt and pepper. Whisk in the flour and cook for 1 minute longer. While whisking, pour in the milk. Allow the mixture to come to a simmer and thicken, stirring occasionally for about 5-8 minutes. Once the milk mixture has thickened, remove the pot from the heat and add the chipotle peppers and adobo sauce. Using an immersion blender (or regular blender- just be very careful with the hot liquid! ), blend the sauce until smooth. Add the cheese, a handful at a time, and stir with a wooden spoon until each addition is melted before adding the next. Once all the cheese is incorporated, stir in the pasta until coated. 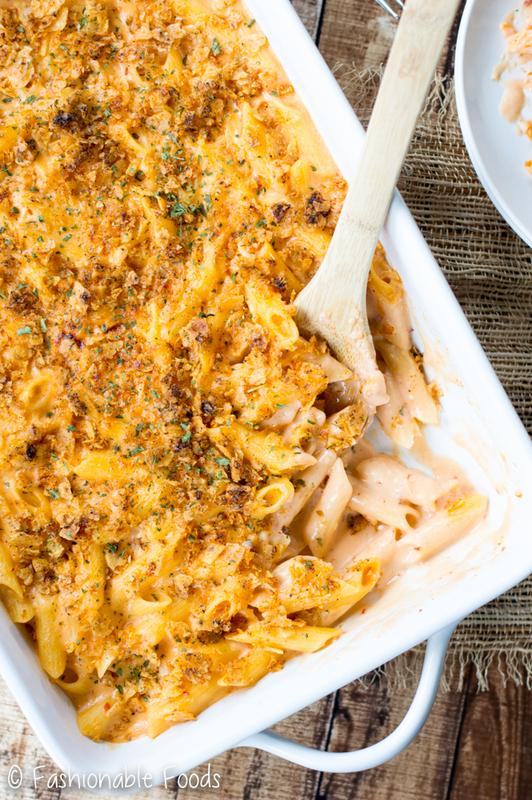 Pour the macaroni and cheese into a 9x13-inch baking dish. Make the topping by stirring together the tortilla chips, paprika, garlic powder, black pepper, and melted butter. Sprinkle the topping evenly over the macaroni and cheese. Bake the mac and cheese just until it’s bubbly and the top is golden brown; about 15 minutes. Let rest for 10 minutes before serving. Top with fresh parsley if desired. 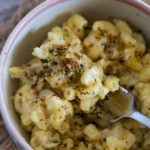 *You can easily make this mac and cheese using regular wheat pasta if you aren't gluten-free. 12 oz. will be about 3/4 of the box. If you want to make the entire 16 oz. box of pasta just increase the flour, butter, and milk by 1. So, use 4 tablespoons of butter, 4 tablespoons all-purpose flour, and 4 ½ cups milk. You'll also want to add another half cup of cheese. *If using the gluten-free flour make sure it doesn't contain xanthan or guar gum, otherwise your sauce will be gummy. *If you want more or less smoky/spice, adjust the level of chipotle you add. I found 2 peppers with 2 teaspoons of adobo to be the perfect amount for us, however you can add more if you like! Mmm this looks like my version of comfort food! I’ve never had a chipotle mac ‘n cheese before, so I can only imagine how delicious this must taste. And yay for being back on a schedule, or at least trying! Life can be so hectic and unpredictable at times! Oh yum! 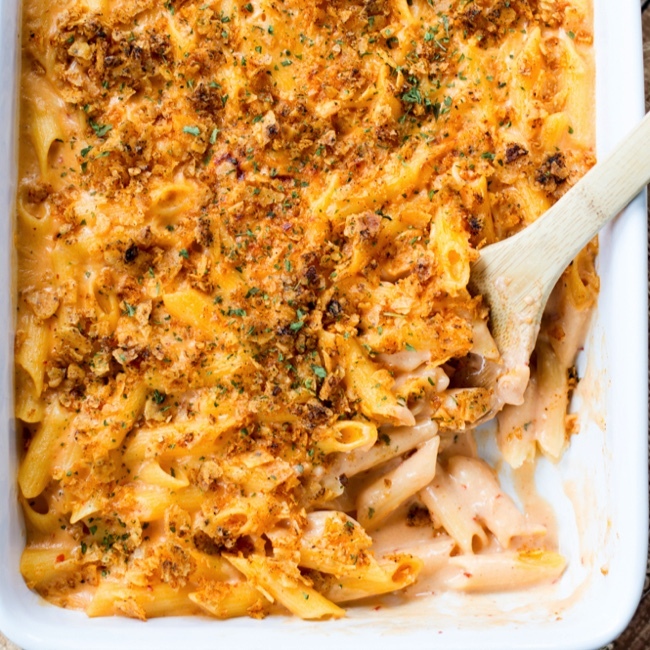 This chipotle pepper mac n cheese looks like the most delicious comfort food. Chipotle mac n cheese is so new to me, looks so creamy and flavorful. Now I want to try this. Glad to know that your hubby is well and started work again.